quite possibly the best blog you will ever stumble upon. : Key plank! 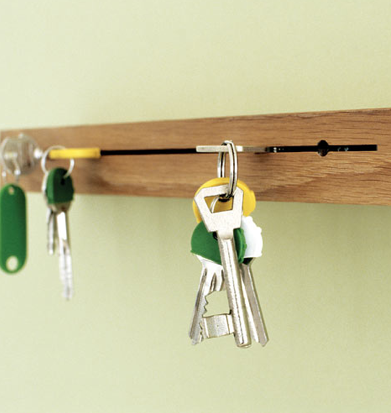 I really like this cool little "Key Plank" available at this cool Canadian store called "Up to You." Our lovely intern tells us that recently she went, but got there too late as the store closes at 6pm!! WTH? Who closes at 6pm? Anyway, we apologize for the not-so-great picture, but this was the only one available. http://uptoyoutoronto.com/ -- do a search for "Key Plank" in the search box.